Are We Headed Into Another Maunder Minimum? What Does That Mean For Propagation? 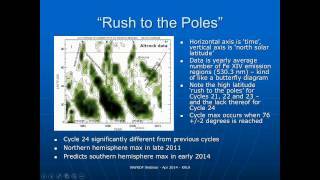 K9LA discusses the various parameters that indicate we may be entering another Grand Solar Minimum (GSM). He will also discuss two possible scenarios for HF propagation if a GSM does occur.